We have known George Gavros through the specialty food industry for the twenty years that Great Ciao has been in business. Not only has he become a close friend of ours at Great Ciao, but more recently he’s been our “nose on the ground” for sniffing out great products from Greece, including our recent additions of PDO barrel-aged feta, and wild Greek oregano. Last week a shipment of his hand-selected extra virgin olive oil arrived in our warehouse by way of Southern Greece. Yioryio (Greek for George) 2015 new harvest oil is made with big buttery Greek Koroneiki olives, harvested from a handful of farms surrounding the ancient city of Argos in the southern Peloponnese peninsula. To ensure the best flavor and a low (.4) oleic acidity, the olives are pressed before the sunrise of the day that they were harvested. Yioryo’s oil is only made from fresh green (not completely ripened) olives, resulting in a brilliantly green color, as well as a rich mouth-feel and fruity notes of green banana with a lightly peppery finish. If you like the flavor-profile if Sicilian olive oils pressed from Castelveltrano and Nocellara olives, you’ll love this one. Not only does it have great body and flavor, but it is also a great value olive oil to use as a workhorse in the kitchen for everything from sauteing, to finishing, and vinaigrettes. 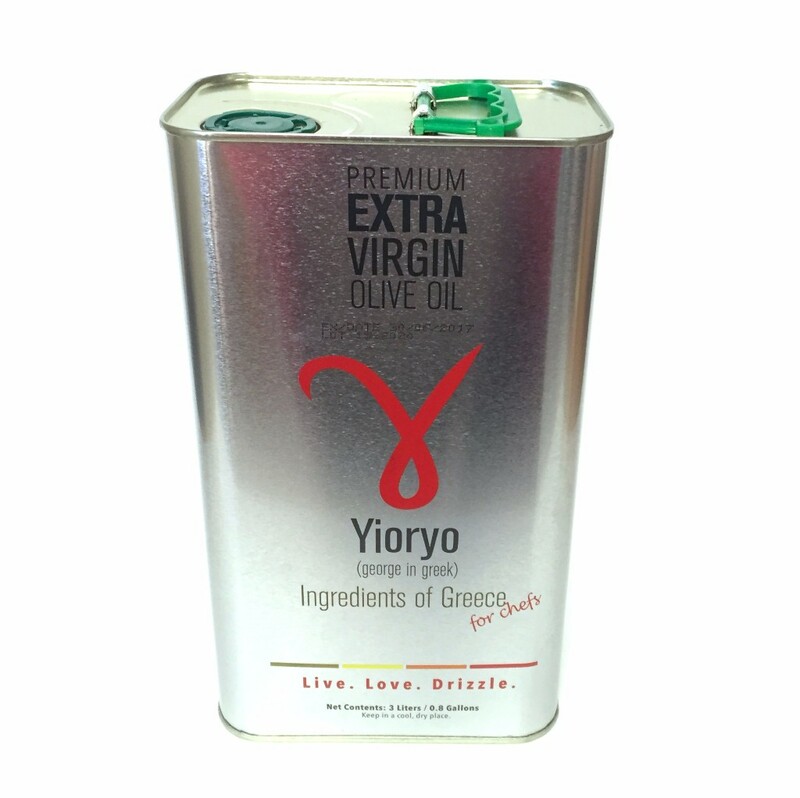 Yioryo extra virgin olive oil is available in a 3L tin to protect the oil from light.